Street Art and Graffiti: A Dissertation was released at the People's Republic of Stokes Croft on Thursday October 12th alongside a show called "Cut Out and Keep", a reference to the guerrilla artwork I painted in order to protest and raise concerns over the removal and sale of high-profile pieces of public street art in Liverpool, including Banksy images, by corporate groups. This is no generic coffee table art book. Street Art and Graffiti provides an insider view of street art and is essential reading for teachers and students working on urban art projects. It contains an in-depth exploration of the practices, concepts and developments of street art that can easily be understood by more general admirers of graffiti and scholars alike. My text has previously been purchased by schools and other education establishments in order to inform students and frame debates about an art form that inherently raises issues about the differences between the public and private spheres, between anonymity and identity and between artistic expression and personal responsibility to others. This book recounts how and why my images, sculptures and stunts made it into many local and national newspapers. In doing so, it examines the politics, culture and theory of street art using concrete and contemporary examples. 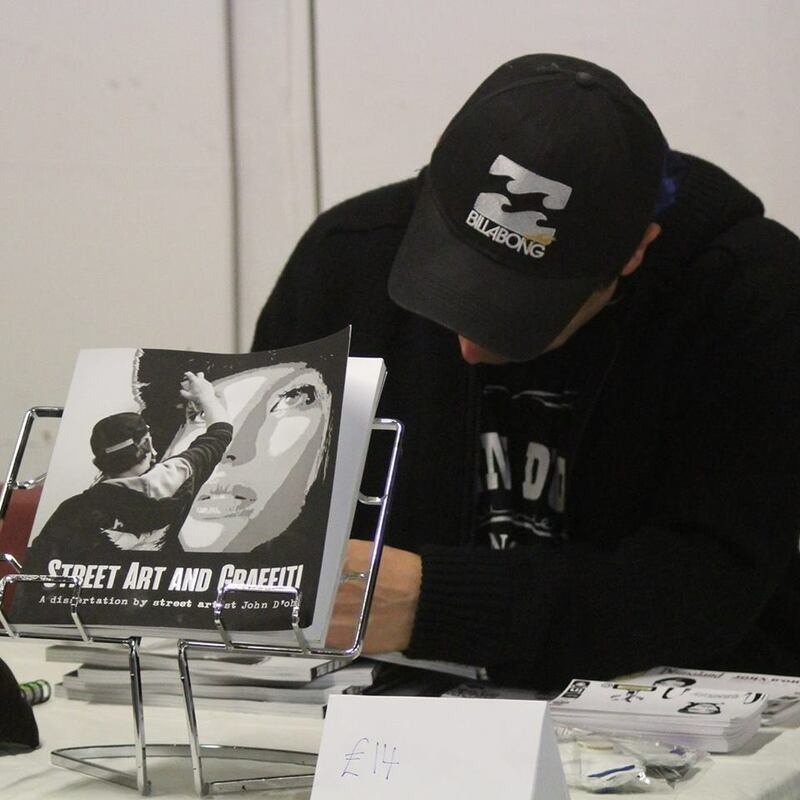 Some of the many relevant topics discussed within the book include the physical appropriation of street art by private companies, the future of graffiti in a highly technological age and the relationship between advertising and urban art. I produced this book after being asked over a number of years to help students with their dissertations examining various aspects of street art and in response to interest from academics looking for behind-the-scenes insights into the art form. But I also hope that it can be read as a personal, enjoyable and sometimes humorous journey through the artwork. The situational nature of street art, which includes putting up stencils in bad weather and in hard-to-reach places, is often overlooked by general writers on the topic. The book is available through Bristol-based Tangent Books priced at £14.